If you’re living in a small apartment that doesn’t have a high voltage outlet or a vent, you need a smart solution when it comes to buying a dryer that will fit in your apartment. 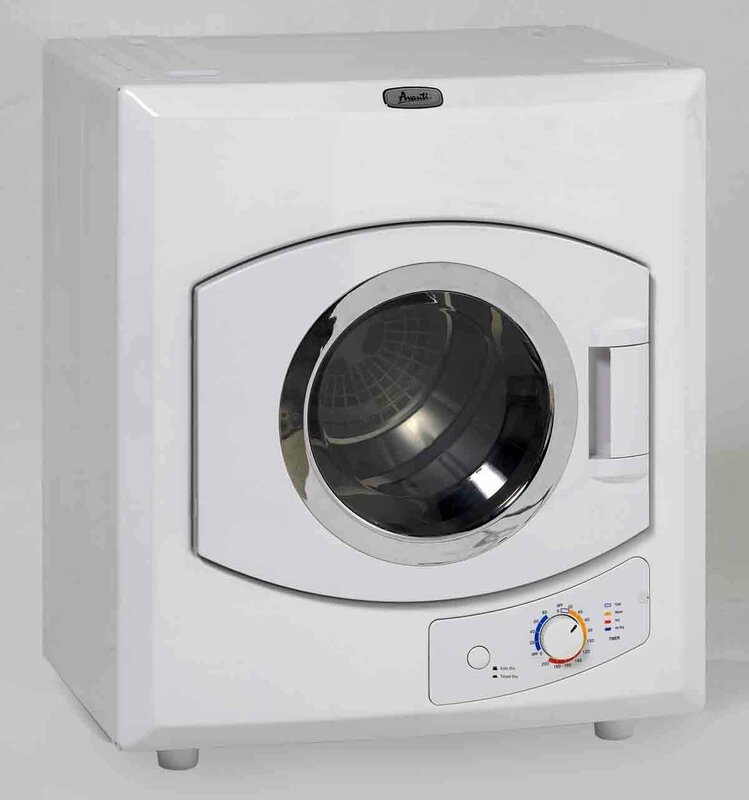 Avanti 110-Volt Automatic Dryer is a portable dryer that dries clothes quite fast. However, there’s one thing you should know: this dryer is good for small loads only. There are many attributes about this portable dryer and some not so great. 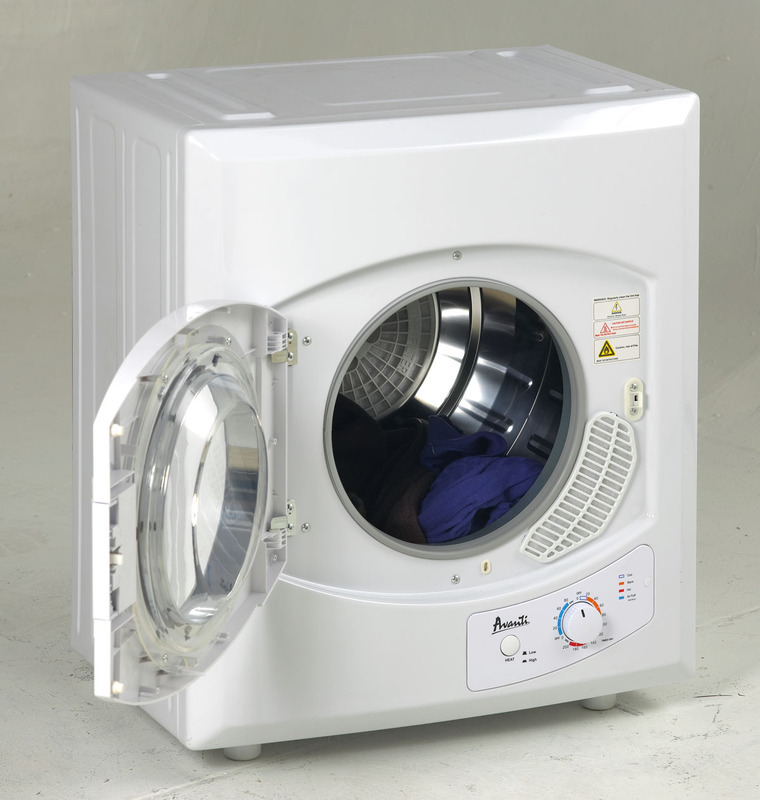 Let’s find out more about the features and specifications of the Avanti automatic dryer. Capacity (cu.ft. ): 4 cu. ft.
Can be hooked up to a regular outlet. Despite the compact size, the drum has 4 cu. ft. capacity. It can take multiple shirts and jeans in one load. Doesn’t move around and is quiet. The drying time is short. Compact design for dormitories, apartments, or recreational vehicles. It’s lightweight and easily portable. Anti-wrinkle option, meaning your clothes will be gentle and fresh. Manual Dry Times: From 20 to 200 minutes. 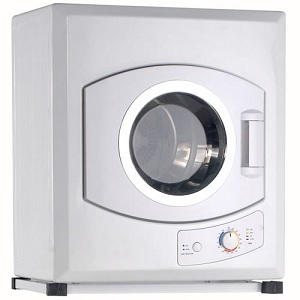 Ratings Electrical Requirements: Dryer Power Source: Electric; Voltage: 120V. Has timed dry and auto dry settings for convenience and ease of use. Comes with a see-through window for clear visibility. Has multiple installation options, which means you can place it in different locations. It’s lightweight, which means you can move it any time you want to. It’s super quiet – you won’t even know it’s on. Clothes come out wrinkle-free, not burning hot like other dryers. It dries slower compared to standard voltage dryers (that’s to be expected). This Avanti automatic dryer doesn’t hold a huge amount of clothes, but it definitely dries them pretty quickly for 110V dryer. It fits in small spaces: for one or two people, it’s the right size. Drying time takes about 30-90 minutes or so depending on the load. All in all, this dryer has great features, but if you want something super-hot or monster-sized, look elsewhere.